Home > News > Better Learn to Like Cold Showers! There were many outstanding accomplishments that came out of the 2019 General Assembly session, things which will improve our communities for everyone. I’ll be sharing many of the details in weeks ahead. As you already know, during the 2019 session, the veil was pulled back to expose the extremely destructive direction a few would take our Commonwealth. My last email focused on an apparent disregard for pre-birth and post-birth babies. More to come on that. Almost as harmful are another set of policies which harm everyone, especially low-income families. Some would have us believe, that without sweeping, costly changes to how we live our everyday lives, we will not survive. These are the schemes of climate alarmists. I need your help to protect families and businesses in Virginia. While fear may be a strong motivator, truth is the enemy of the climate alarmist scheme. Several Democrat Delegates promoted a Virginia version of the Green New Deal. Republicans defeated it. The Virginia “Green New Deal” bill that Democrats are pushing hard for in Virginia, would be a giant step toward outlawing coal, gas, diesel fuel, natural gas, and nuclear energy. This would be one of the most anti-family and anti-business energy-related proposals to come forward since mankind learned to use fire for cooking and heating. 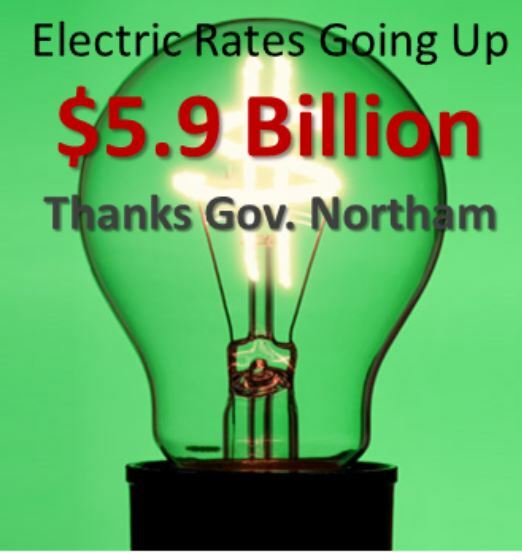 Virginia’s non-partisan State Corporation Commission (SCC) estimated the state’s participation in the RGGI could cost Dominion Energy Virginia (DEV) ratepayers between $3.3 billion and $5.9 billion over the first decade, increasing the average electricity bill by $7 to $12 per month. Virginia’s participation in the RGGI would force residents to pay more for their electricity. Remember, our Republican majority in the House was preserved by drawing a name out of a bowl. I call that providence. Please don’t let my liberal, anti-family, anti-business opponent be elected to support this plan in Richmond! Dave, thanks. They [VDOT] are down there this morning installing new better pipe and reconfiguring drainage. - Constituent on a gravel road in Loudoun County. Delegate LaRock, the median got mowed today. I don’t think it would have happened without your involvement. Again, thank you for your assistance in getting this hazardous situation taken care of. Clarke County Constituent. Please help me run a strong campaign.